May 26, 2015 bcalvanocoachingLeave a Comment on Weekly Angel Oracle Card Reading for May 25 through 31. Weekly Angel Oracle Card Reading for May 25 through 31. 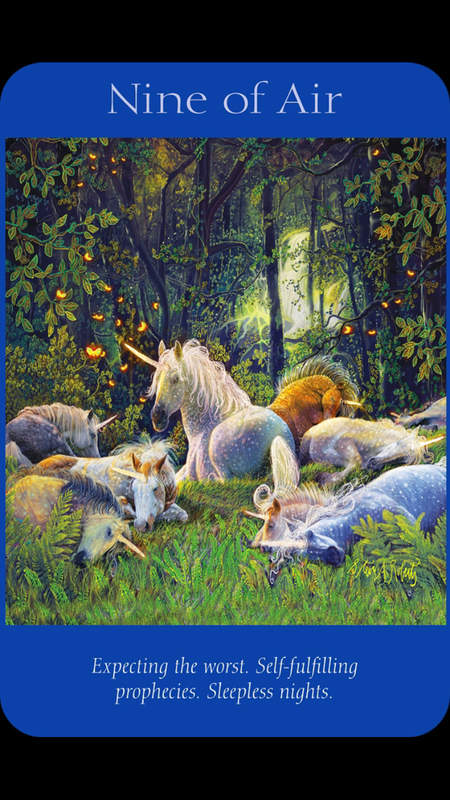 This week I was guided to use the Angel Tarot Oracle Cards by Doreen Virtue and Radleigh Valentine. http://www.blogtalkradio.com/letsasktheangels Call in for a reading at 424-675-6837. Some of us may be experiencing stress and anxiety from worrying and projecting negative thoughts. We are guided to watch our thoughts and catch ourselves when we are not being positive. Any fears you have are unwarranted. The fear you experiencing is coming from your thoughts. It’s time to leave the past behind and turn your attention to the future where anything is possible. If you are having bad dreams, write them down in a journal and thank them for the information they are giving you. If you are experiencing depression it may be time to seek professional help. This message is emphasizing that our thoughts have the power to manifest quickly so whatever we can do to keep them positive is essential. Monitor and plan your exercise, nutrition and diet so that they support you in feeling good. Also, detach from people and situations that are toxic as we can easily absorb their lower energies. 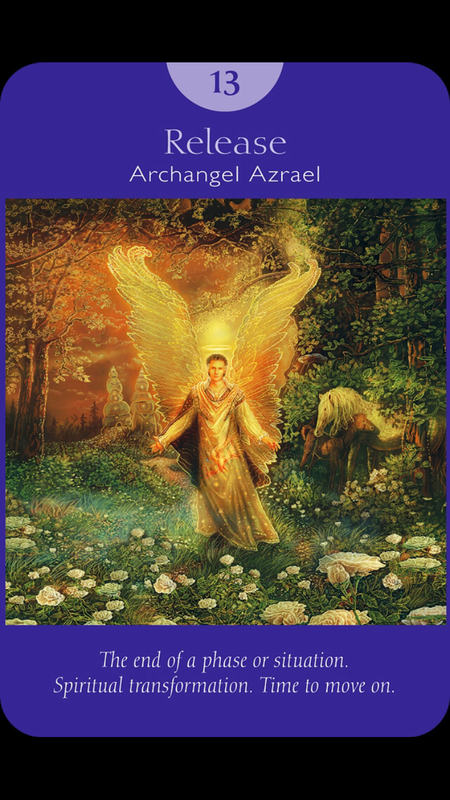 Archangel Azrael can help you move forward fearlessly in letting go of the past and facing your fears. Here we are guided to let go and move on. Envision the highest good and best outcome for yourself. It’s truly time to move on from situations that may no longer serve you. This change may bring up relief or even sadness which is normal but there’s a spiritual growth happening here which you cannot deny any longer. It’s important to be kind to yourself during this transition and seek the support of trusted family and friends. You have outgrown this phase in your life and it’s time to release and move on. You are supported by the angels and Universe to accomplish these changes. 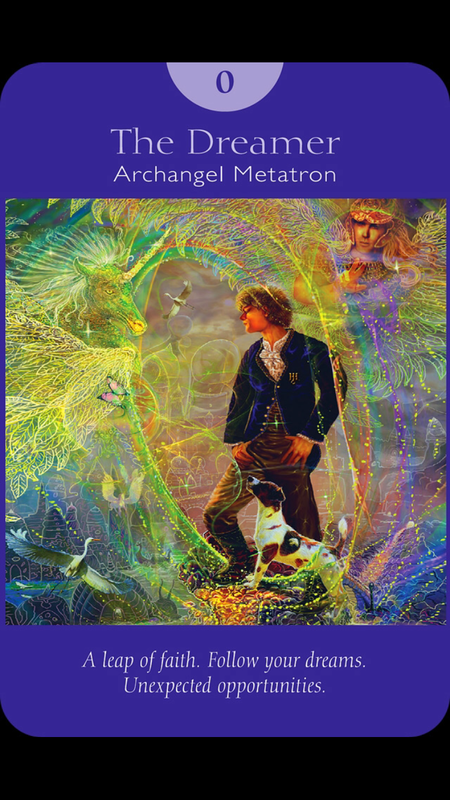 For the weekend we have the “The Dreamer with Archangel Metatron. A leap of faith. Follow your dreams. Unexpected opportunities.” Here is a perfect message to follow the first two. It is time to take a leap of faith. Archangel Metatron will show you unexpected opportunities and creative solutions. He will also help you regain that sense of awe and wonder you had as a child where you felt anything was possible. It’s important to trust any guidance you are receiving and take any small action towards achieving your dreams and goals The angels and the Universe want you to succeed. It’s important to have confidence in yourself and be open to ideas and guidance from others too. This is a week of powerful transition and change. We acknowledge the power of our thoughts and what we have been creating. Certain habitual patterns no longer serve us. We shift from negative to positive thoughts knowing what powerful manifesters we are. We enter a new phase in our life that supports our spiritual growth and development. We take a leap of faith towards that which is our heart’s desire allowing and trusting unexpected opportunities and creative solutions. It’s a powerful week of releasing the past and allowing our dreams to manifest. For a personal in depth reading and coaching on how to effectively work with your angels to create a life you love contact me at 917-324-3726 or bcalvano-coaching@usa.net to set up an appointment. Previous Weekly Angel Oracle Card Reading for May 18th through 24th. Next Weekly Angel Oracle Card Reading for June 1st through 7th.